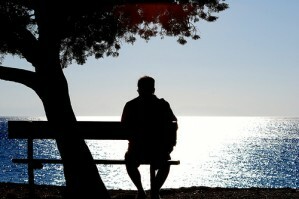 Check In With Yourself! « This is Your Wake Up Call! There are many issues waiting for us today. Where do we begin? How do we rally the troops and ourselves? Where will the resources come from? Beloved, your toughest leadership challenge today just might be you! Listen to today’s message and share with a friend. Email this to someone who needs to hear it or post it on your social network. Don’t forget to subscribe. It’s free! Updates throughout the day are now at www.twitter.com/vashtimckenzie. Go to www.vashtimckenzie.com for more. Spread the inspiration! 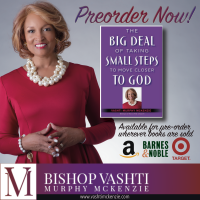 Pray with me as my new book The Big Deal of Taking Small Steps Moving Closer to God is about to be released on May 16, 2017. You can preorder now wherever books are sold. I’m praising God! It’s just a miracle that God breathed this new chapter during a difficult year! Help me get this book into the hands of those who are standing in need of a blessing today! rdens in the comment section.